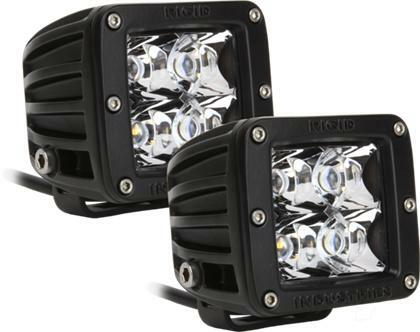 The Rigid Industries D-Series LED Light is one of the most versatile lighting products on the market today. It produces extremely high output while consuming very little power. Its compact size and shape allow the D-Series LED Light to fit almost anywhere and be used for virtually any lighting application. The D-Series Duallys have gained steam in use as fog lights, scene lighting applications, as well as marine spreader lights. The Duallys with Amber LEDs have proven that when used as fog lights they help to cut through the fog, dust, dirt, or even water. 361 points will be rewarded to you when you buy this item.